I’ll never forget contracting food poisoning on a vacation with my husband. I was too weak and sick to leave the hotel. The thought of having to go to an emergency room and wait for who knows how long was not something I had the strength to do. When my husband called the front desk of the hotel, they found a doctor who was willing to see me in our hotel room and give me a shot to get me stable enough to go home. I was so thankful. Now there is an on-demand service that everyone can benefit from at a very reasonable cost called www.heal.com and is a close as your computer or an app on your smartphone whether iPhone or Android. The service makes a background-checked, high quality licensed primary care physician, (pediatricians too), available for an appointment at your home, office, hotel, and literally wherever you are between 8:00 a.m. and 8:00 p.m., 7 days a week. I recommend downloading the APP and having in handy so you will have it when you need it. However, it’s not just for emergencies. I used to work for a primary care physician and a two-hour wait was not uncommon. Many people have stressful and demanding jobs and will often postpone important doctor appointments due to time constraints. If you have a sick child, don’t want to wait weeks to get an appointment, or have someone you love who hates to go to the doctor, now you have a terrific option with heal.com. My elderly mom is at risk for falling, especially during the winter months. Having the option to have a doctor come to the house when needed will be so much easier on everyone. 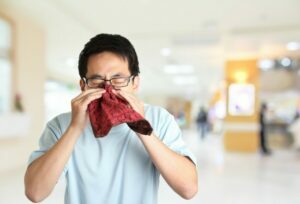 Have you ever sat in a waiting room full of sick people during flu season? If you are not sick when you came in, you may be on your way out. I reviewed the bios of the doctors available in the service and feel very comfortable with their experience. They all have impressive backgrounds with experience at major medical schools and hospital facilities. I was happy to see the service expanding in California where I live to include Los Angeles, San Diego, Long Beach, Orange County, Silicon Valley and San Francisco. Most Anthem and Blue Shield PPO members pay no more for a house call from heal.com then they would for a typical co-pay. Everyone else pays a very reasonable flat $99. During my previously mentioned illness, I know I paid much more than $99. You may not need the service now, but you may soon. Why not take a minute to download the free APP and be sure and help me to spread the word about such a valuable service. 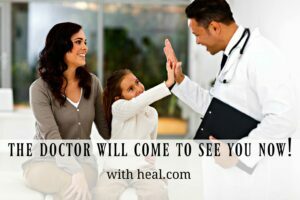 Our parents may remember back when their doctor made house calls and now with heal.com, a doctor will come to see you too. I’m so thankful that we usually get seen as quickly as possible. I’ve had my share of long waits before, but that’s mostly a thing of the past. This is a good news. This service is nice especially to those who can’t bring immediately their sick children or family member. Oh wow! This sounds like such a convenient service! I would love for a doctor to come out and make a house call especially if someone is feeling to weak to step out the house. This App is an amazing idea! A big help for parents needing the help of Doctors specially when you have a sick child.